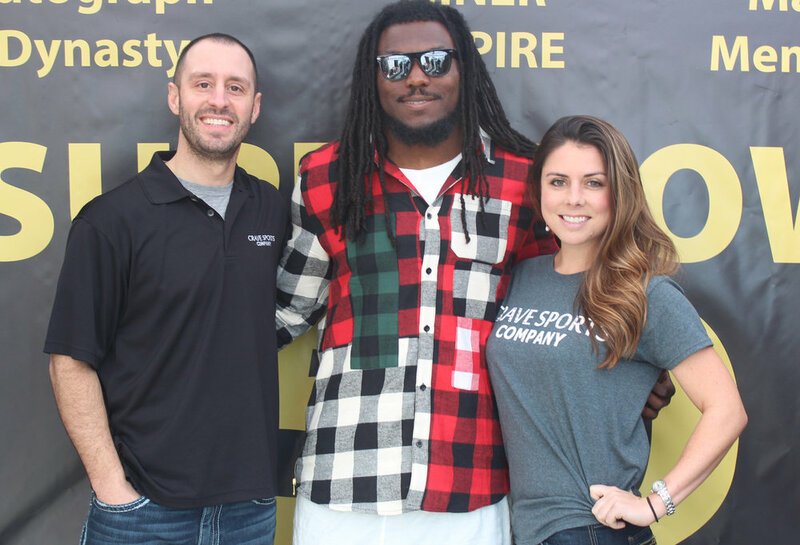 We list/host opportunities for you to meet your favorite athletes, build up your memories, and your memorabilia! If you like getting autographs and "Crave the Auto(graph)," you will love what we do! We list every public autograph signing in America. Well. That we know about. We still need your help with submitting short notice, hard to find local appearances, which is what makes crave so great. Our followers around the country have become very loyal with helping out fellow collectors! We investigate and post signings all day, every day. If you host signings, submit your event to us immediately. It's free for every listing. You will want to get the most exposure possible to increase ticket sales and mail order, if accepted. We also offer upgraded premier listings starting at only $30 where we will promote your event on social media and it will appear in additional areas of our website and app for even more exposure. We also suggest you have a good mail order system set up, as our collectors will order and do mail-ins from all over the country. See our recent analytics report for website traffic. If you are a collector, stay connected and you will get autographs. Our player appearances listings page gets over 160,000 page views a week and continues to grow. We have a twitter following of over 30,000 strong + 10,000+ Instagram and 7,000+ Facebook fans! Visit our twitter account. We list the 4 major sports MLB, NBA, NFL, & NHL. On our website, you can sort by state. We suggest you get our free CRAVE THE AUTO app, which we have additional search options such as sport, team & league. This will help you find an athlete you are looking for that might be signing in another state at a show, etc. We can offer consulting services for your signing. Would you like to host a signing and have no idea what to do? Would you like to simply hire us to help out with the signing from basic levels to full service levels? We now offer that! We know what it takes to run a successful autograph signing and offer our experience to you! See consulting services page. Athletes and agents, contact Apryl Riebe for bookings. We host autograph events around the entire United States. 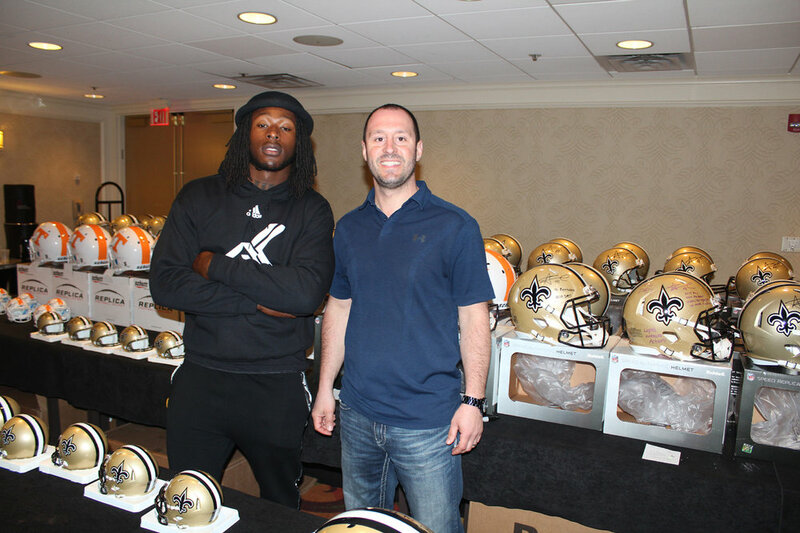 Our events are catered to fans meeting the athletes, not pumping extra memorabilia in the back to be sold online. 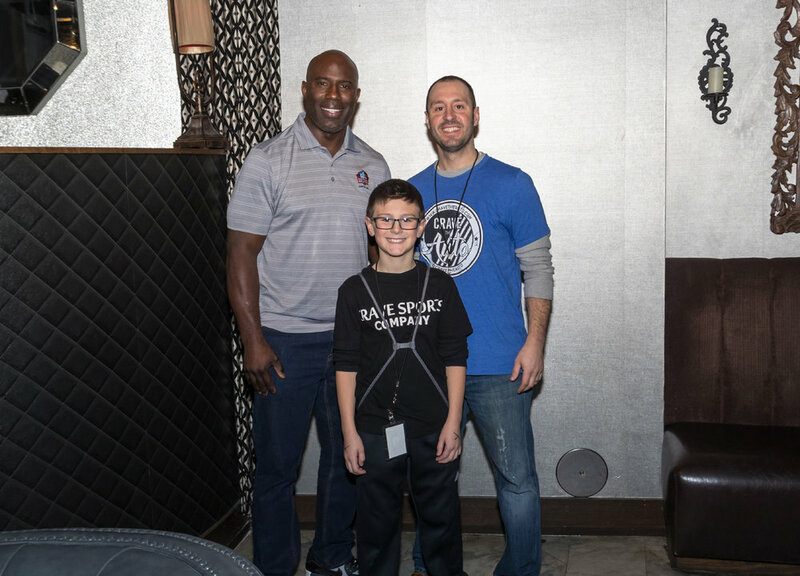 Please know going in prior to contacting us, we are not a "dealer," we have a passion for kids, adults, families and grandpa to meet players and get their autograph. Let us help plan your event! 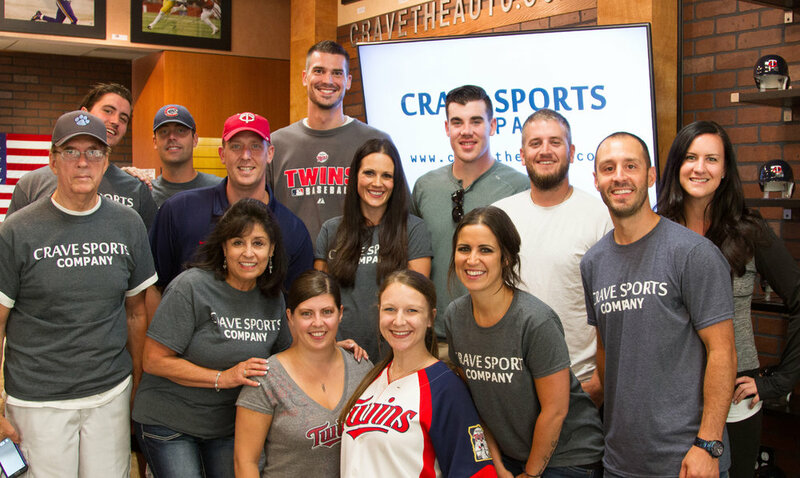 Our Crave Sports Company Marketing departmenet can do so much for you and your company. 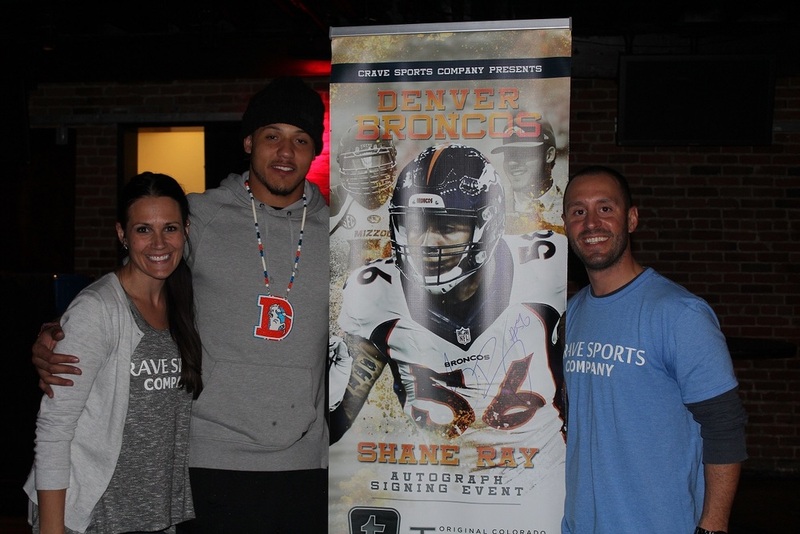 See CRAVE SPORTS COMPANY here! Event Hosts/Agents submit your autograph signing to be listed as soon as possible to get the most of what we offer. It's free for every listing. We also offer Premier Listings for only $30 to reach more people in more areas of our website, app and we will also utilize our social media accounts for your signing. We suggest you make sure to have a good mail order system set up, as our collectors will order and do mail-ins from all over the country. Submit your appearance here. 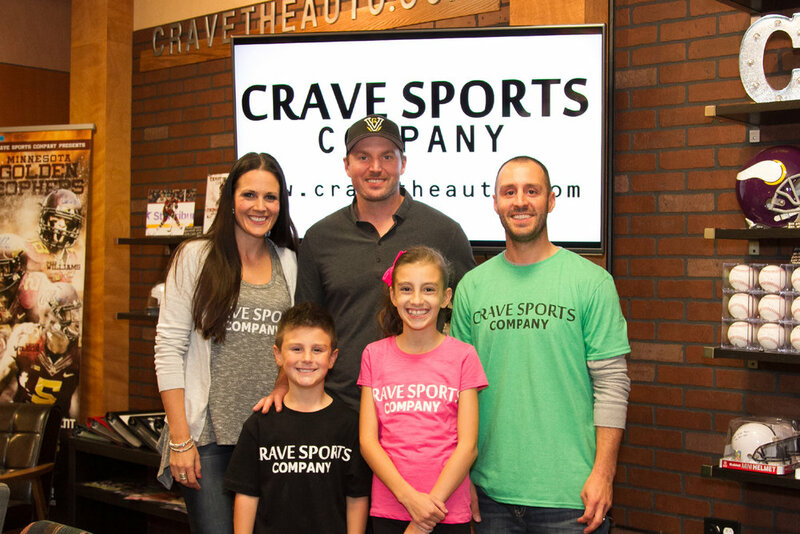 Some of our past events with Crave Sports Company Staff! Contact Apryl Riebe for player bookings. Crave the auto was started by Jason Hostetler in October, 2013. On a fine Saturday morning, Jason wanted to bring his six year old son out for the day to get some autographs, until he realized one thing, there was not a simple place to go to find this out. That Saturday, he purchased the domain www.cravetheauto.com, and started building a website that provided listings of where people can go get autographs. 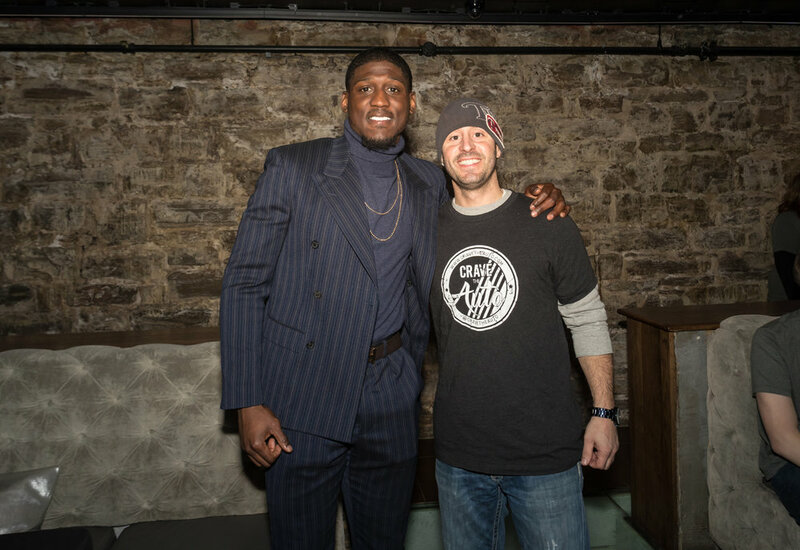 Making new connections and getting information from fans, cravetheauto.com has developed in to something much more than anticipated. 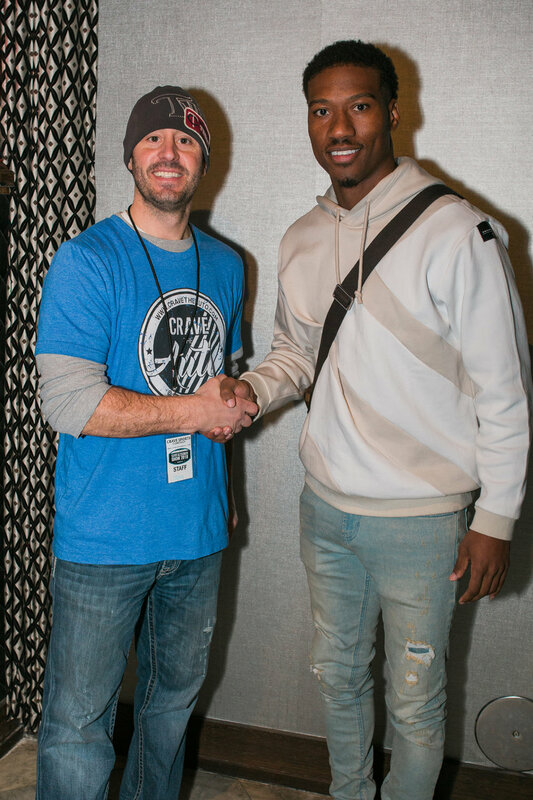 In this short span since inception, Crave Sports Company not only operates one of the best websites ever invented (from our perspective), but now hosts athletes to bring life and new excitement into the autograph world. This company is here for the fans! 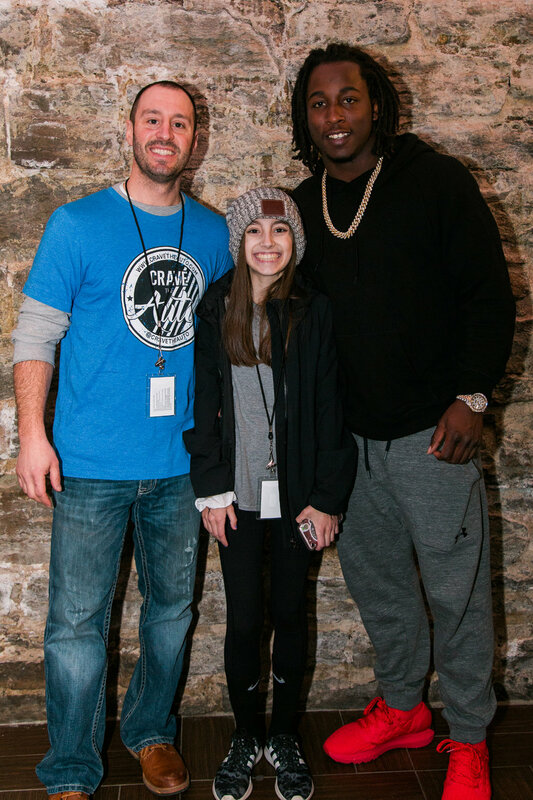 Everything we do is centered around getting fans in front of their favorite athletes. This was built by a fan, for the fans. 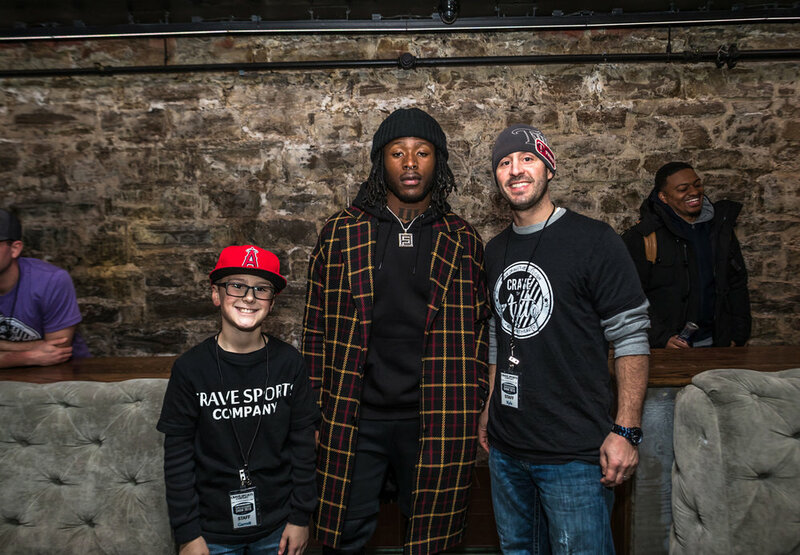 We are passionate about our fans building up their memories and meeting their favorite athletes. We continue to work for you and have many, many exciting things on the horizon! Enjoy the ride along with us, it has been amazing so far! Thanks for being a part of it! 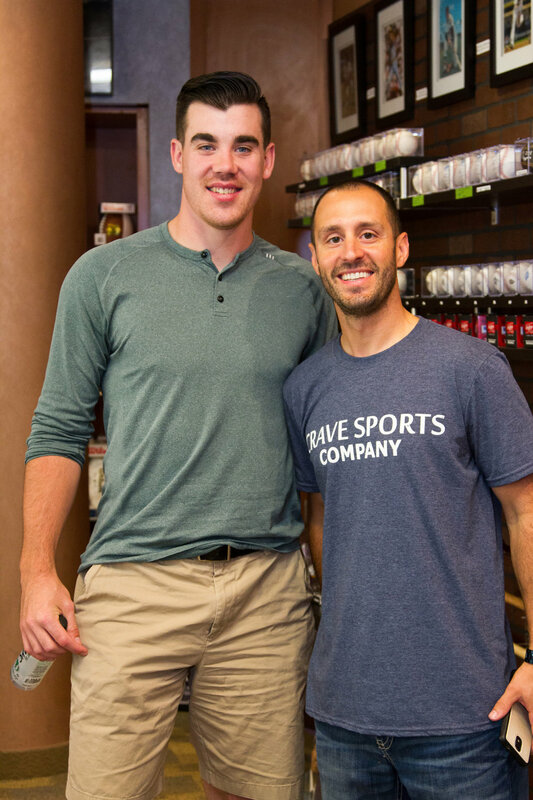 Our company is a leader in the autograph and memorabilia industry, the Chicago Tribune interviewed Owner, Jason Hostetler regarding the revenue impact retailers are benefiting from having players sign autographs inside their stores after the Cubs won the World Series in 2016. Read full article. 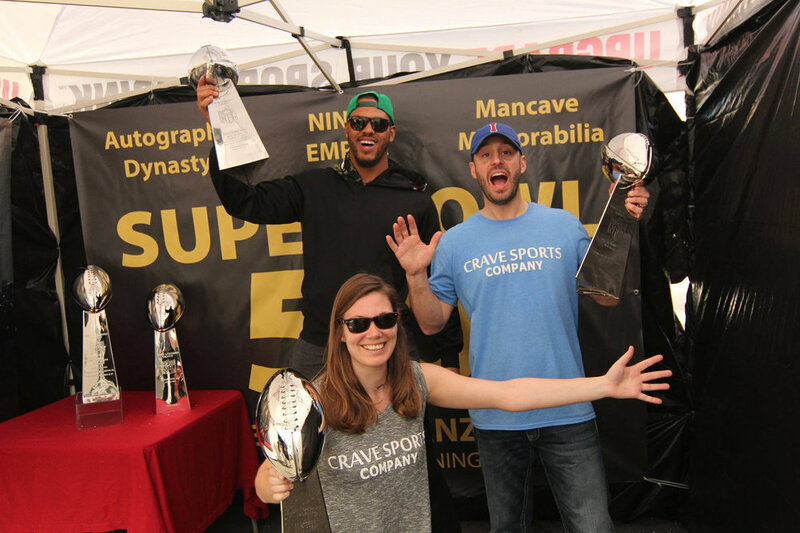 An original startup story of Crave Sports Company. Read full article. We need as much National Media coverage as we can get. We are essentially a news source for where players are signing autographs. A Johnny Manziel signing in February 2017 went viral after breaking the news to ESPN due to the pricing. Crave's Founder Jason attending the 2014 All-Star Game at Target Field with his son Garrett.